I have a problem with reading: I cannot stick to just one book. No, I think to myself. No, I haven’t, damn my weak will. “Oh, I’m just sort of dipping in and out,” I responded. I’ve been doing this for so long that there’s no way I can get out of it now. It would be like giving up some twenty year habit. In the last week alone I have “dipped in” to Genesys, Tomb of Annihilation, Fragged Empire (trying again), Symbaroum Advanced Player’s Guide (re-read), A Slight Trick of the Mind and a book about business analysis and leadership (which I won’t bore anyone with). My Goodreads reading list shows stuff that I have been slogging through for the last year in some instances. And they all have bookmarks. I never have enough of the damned things. They’re like my equivalent of socks for Christmas. 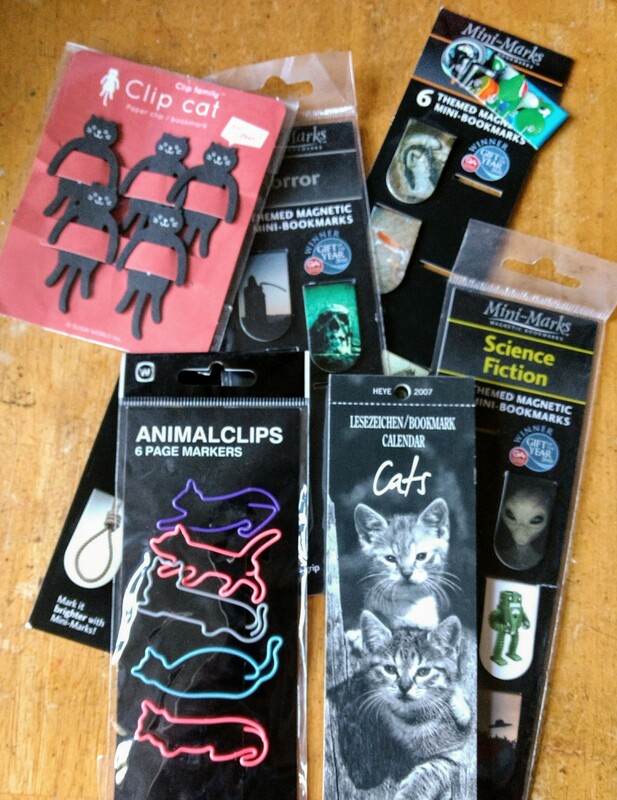 My wife knows perfectly well that getting me a new selection of bookmarks will be a sure fire winner. I think that I do this to myself because my brain needs fuel. If I need to kickstart a thought process, I have to read something around the subject matter. In the case of novels, that might mean I only get as far as a chapter or two in. Often, I just need to flavour. I need to get into the mood for dungeons crawls, dark fantasy, procedural crime fighting or whatever. I’ll come back eventually and finish, but it might take a while (I have been poking at Slight Trick for a year now… and I promise I’ll return it to the lender when I’m done). It might be a little like the phenomenon that persists when you go to the cinema and for a short time afterwards ride a wave of mood that emulates the experience. Action movies enervate you, crime thrillers sharpen the senses, comedies raise your spirits, horror movies set you on edge… that sort of thing. None of these gathered volumes necessarily falls into the category of a bad book (though Tomb has been pressing hard for a specific classification in this general area since the moment I opened the cover and started reading the Dramatis Personae). My brain just needs food for thought and that means I end up with a pile of bookmarked and unfinished books that I’ll conclude at some later date. This might be an extension of the need to surround oneself with books. I manage that as well, but osmosis has never seemed to work for me. For all the bookshelves in the house, I don’t seem to learn anything just by being quite close to the pages. I need to dip a little, to dabble my toes in the literary waters. And I need more bookmarks.